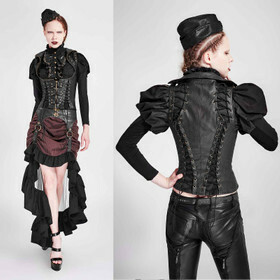 Striking steampunk-style top by Punk Rave. 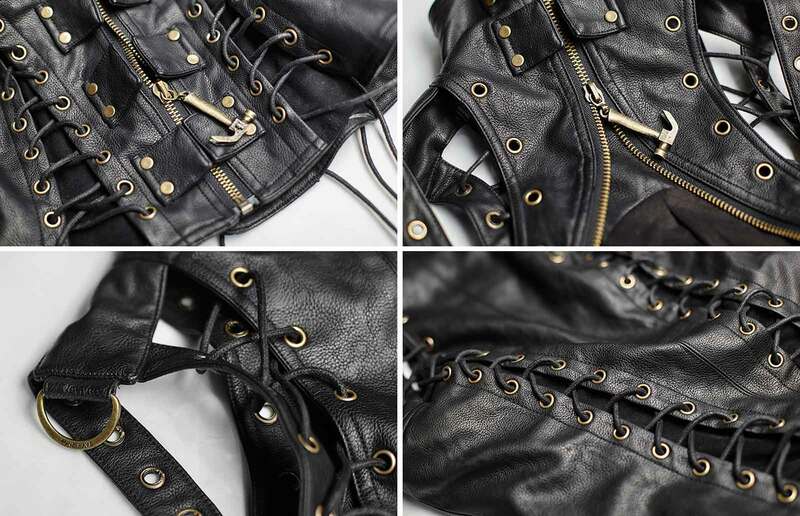 Smooth artificial leather, black, skin-tight cut, cotton lining. 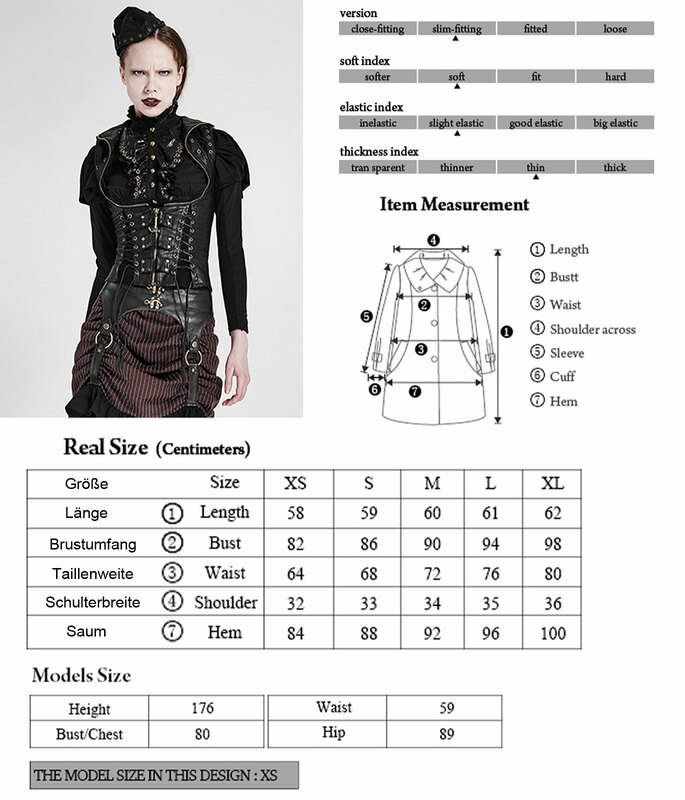 Decorative cross lacings front and back. High-neck. 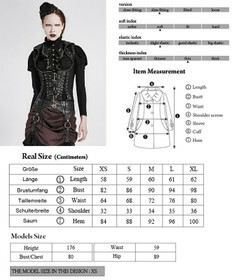 Striking steampunk-style corset top by Punk Rave. Smooth and comfort artificial leather, skin-tight cut, cotton lining. 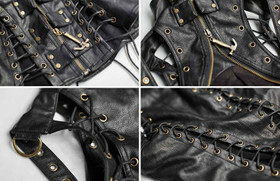 Decorative cross lacings front and back. Drive-thru zip front with prominent hammer detail. The high collar can be worn open or closed. High-neck back. 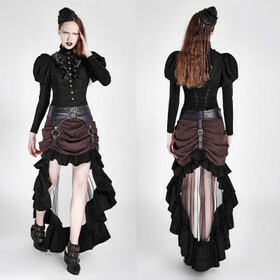 Great accessory to victorian blouses or just to bra and/or fishnet top.